The Serb half of Bosnia and Herzegovina wants to join the EU but opposes the Balkan country’s plans to become part of NATO, the Serb chairman of Bosnia’s tripartite presidency said on Monday (4 March). 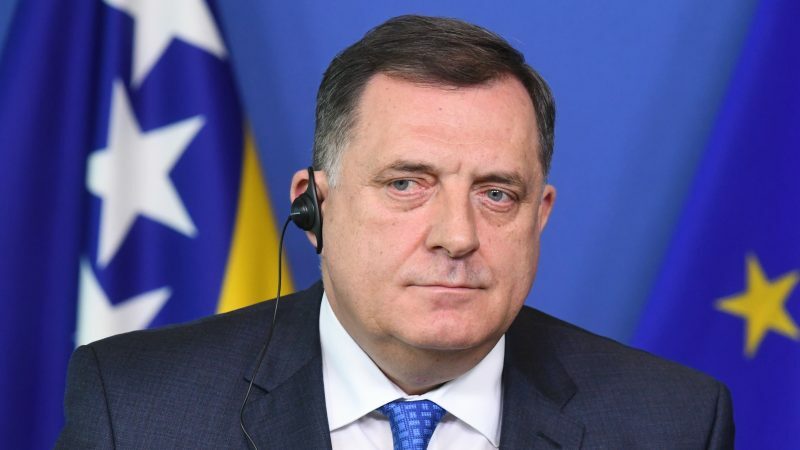 Milorad Dodik, who is also the leader of Bosnia’s Serb entity, Republika Srpska, met in Brussels with EU Enlargement Commissioner Johannes Hahn, and said Republika Srpska wants to have good relations both with Brussels and Moscow, “despite negative comments”. 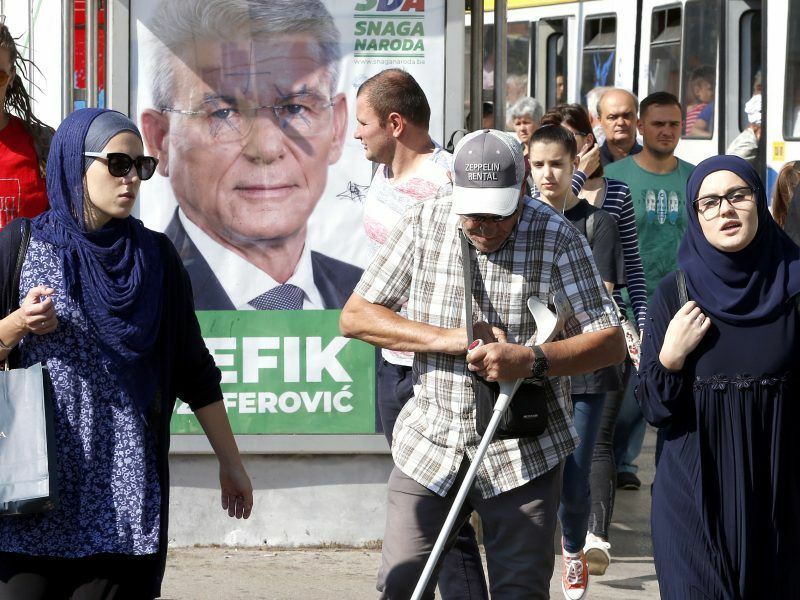 Last October, voters in Bosnia elected three members of the country’s presidency, representing its three main ethnic groups, Serbs, Croats and Bosniaks. The chairmanship of the presidency rotates between the trio and firebrand nationalist Dodik is in the driving seat for eight months. In this capacity, Dodik handed over a set of replies to Commission questions, in preparation for the Commission’s opinion on Bosnia and Herzegovina’s EU membership bid. Hahn said the EU executive hoped to publish its opinion before the end of the Commission’s mandate, and then it is up to the Council of member states to decide by unanimity on the way forward. As concrete examples where progress is needed, Hahn said that an agreement on roaming tariffs for the region was required, as well as greater harmonisation with the country’s universities, which could open the way to programmes such as Erasmus Plus. Four months after presidential and parliamentary elections, Bosnia still does not have a new central government, due to divisions between its rival leaders. Dodik recognised there was “a specific mechanism of decision-making in Bosnia and Herzegovina which slows down certain activities”. But he assured the country would be ready to sign the agreement on roaming in time. On universities, Dodik said problems have stalled due to the electoral law and the constitution of the institutions. Regarding the post-election process, Dodik made it clear that Republika Srpska is against Bosnia’s NATO Membership Action Plan, known as MAP. Of all the Western Balkan countries, only Serbia doesn’t seek NATO membership. In Bosnia and Herzegovina, the Serbian entity is undermining rapprochement with the Atlantic alliance. Bosnia and Herzegovina submitted the application for MAP in 2009. Allied Foreign Ministers decided in 2018 that NATO is ready to accept the submission of Bosnia and Herzegovina’s first Annual National Programme. Now, it’s up to the Bosnian government to adopt and submit its first Annual National Programme in order to activate MAP. “The Bosniak side thinks that before we select members of the government, there is a need to approve MAP (membership action plan). Republika Srpska does not approve that”, Dodik said. Dodik has been an advocate of independence for Republika Srpska and argues that the entity he represents should obtain a UN seat if Kosovo, Serbia’s former province which declared independence in 2008, gets one. Dodik is a frequent visitor to Moscow, which opposes NATO enlargement in the Western Balkans. “I have dear friends both in Moscow and here in Brussels. Our interest in the EU is reflected in our commitment to join the EU and my party and my entity, Republika Srpska, has such a position and nothing is contested there. Asked about his push for independence for Republika Srpska, he blamed the international High Representative for Bosnia and Herzegovina (OHR) for having jeopardised the 1995 Dayton Agreement, which ended the 1992-95 war and laid the foundations for post-war Bosnia. Dodik didn’t explicitly name the High Representative, Austrian Valentin Inzko. “Some solutions on the central level were imposed and that’s a problem. Currently, in the Republika Srpska, nobody is working on a “secession,”‘ he said.